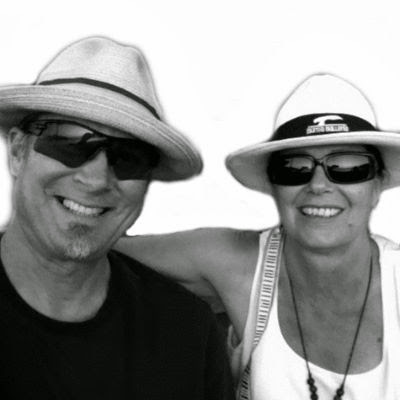 Suzan Haskins and Dan Prescher. Nicaragua offers the lowest cost of living in Central America, and no... there is not a war going on. That ended more than 25 years ago. Today, Nicaragua enjoys a stable democracy and was ranked in a recent Gallup Poll as the safest country in Central America. 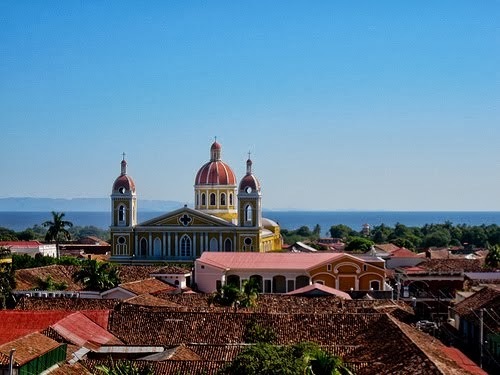 The Economist Intelligence Unit says Nicaragua is one of the safest countries in all of Latin America. There may be no better place to retire in Nicaragua than Granada. 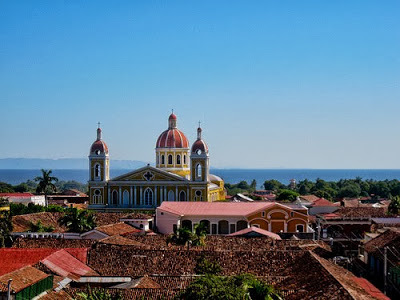 Ancient pastel-painted colonial-era buildings with terracotta tile roofs spill along the north shore of Lake Nicaragua, the largest lake in Central America. Views of the nearby Mombacho Volcano add to this glorious postcard effect. Granada is known, too, for its colorful horse-drawn carriages that clip clop their way atop cobblestone streets, toting neck-craning tourists and locals alike, the latter going about their daily business with the languid, carefree aura that comes from living in the tropics. In the enclosed courtyards of the city's colonial homes -- some of which have been converted to boutique hotels and cherished homes, Nicaragua's famous rocking chairs -- made of rich tropical hardwoods and wicker -- beckon. Many are occupied these days by North American retirees -- but only for brief moments. They've not come to rock away their golden years, but for the active and adventuresome retirement that Nicaragua offers. By some estimates, as many as 1,000 expats call Granada home -- a socially active group that enjoys cultural events, outdoor activities, and volunteer endeavors... and a place where a couple can live quite comfortably for much less than they would pay in the U.S.
"My friends are always asking me, after living here for nine years, when I am going to move back to the United States," says Janice Gallagher. "I just laugh. I could never afford to have the lifestyle in the U.S. as I do here nor the peace of mind. I can get up in the morning, take a yoga class, get a manicure and pedicure, have a massage, meet my friends for happy hour and do it all for less than $30! I have a housekeeper/nanny, a chauffeur, gardener and someone to take care of the horses and other animals for me for less than $400 a month." Janice lives on a small farm just outside of Granada, but she has plenty of friends who live in the city itself. Renting a comfy spot long-term to explore from can cost as little at $500 per month for a condo with a community pool, and range upward from there for a beautifully remodeled colonial home depending on size, location, and amenities. Short-term vacation rentals are also abundant, such as those found at Granada Property Services. "Where else can you buy a beautiful head of organic lettuce for less than 50 cents or enjoy a cold beer for $1?" asks Janice. "No, I think I am staying put in Nicaragua a while longer!"